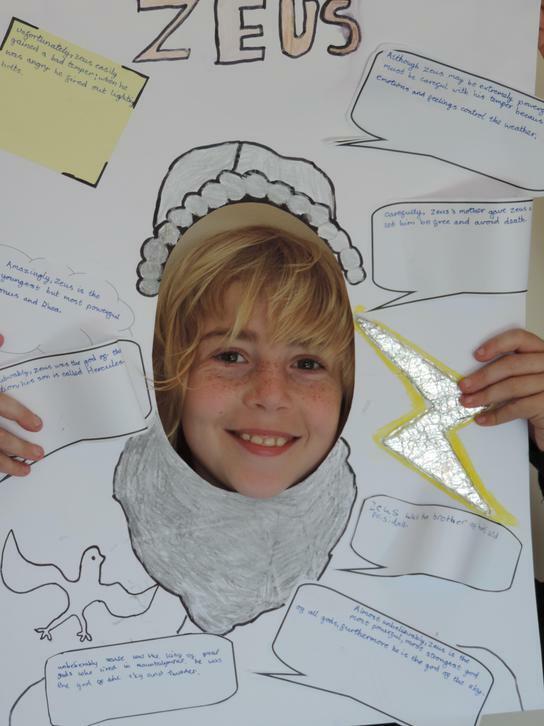 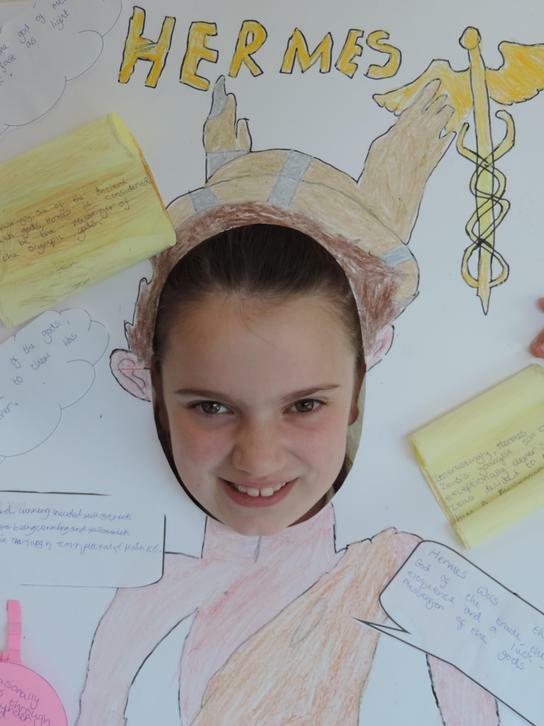 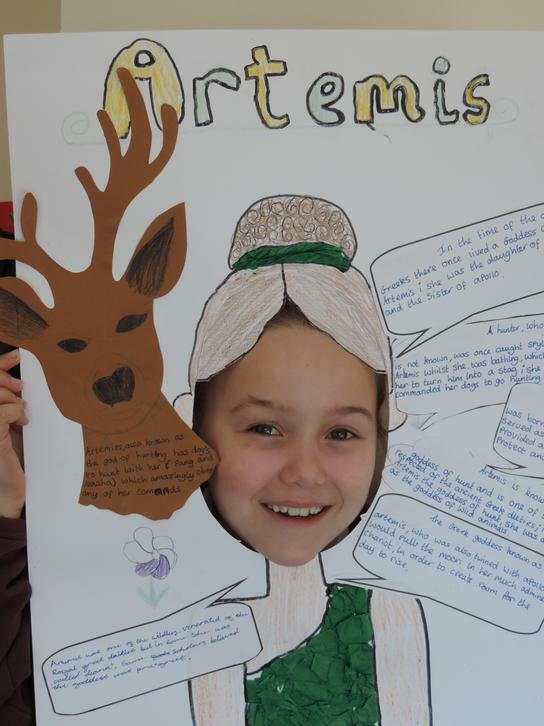 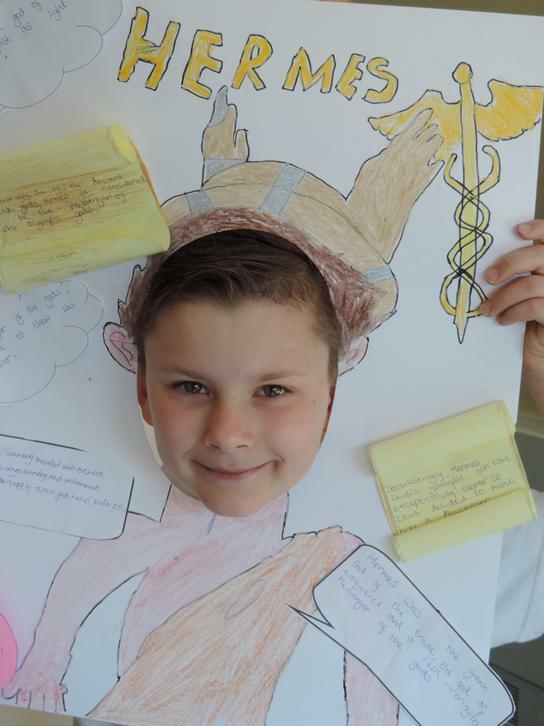 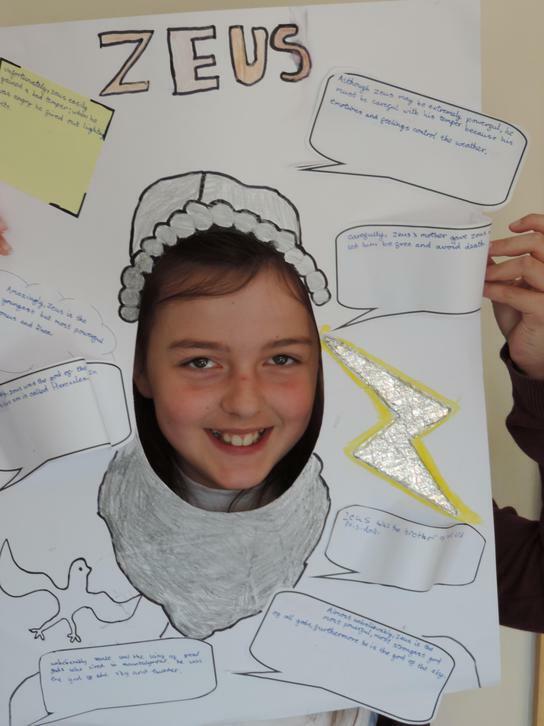 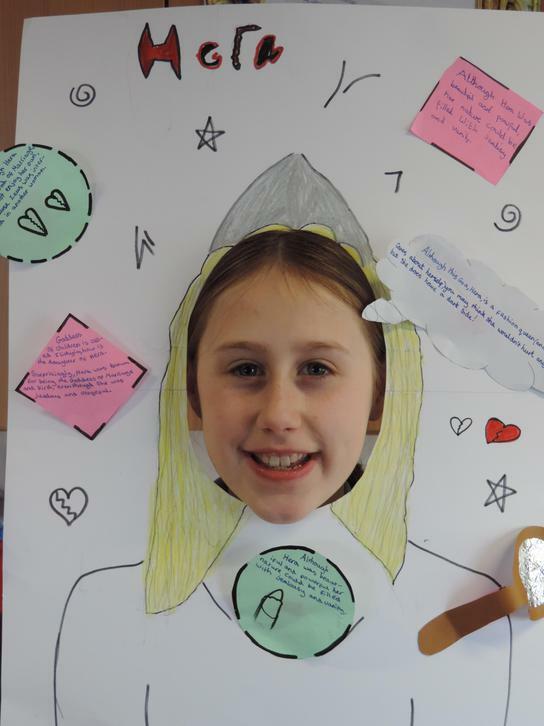 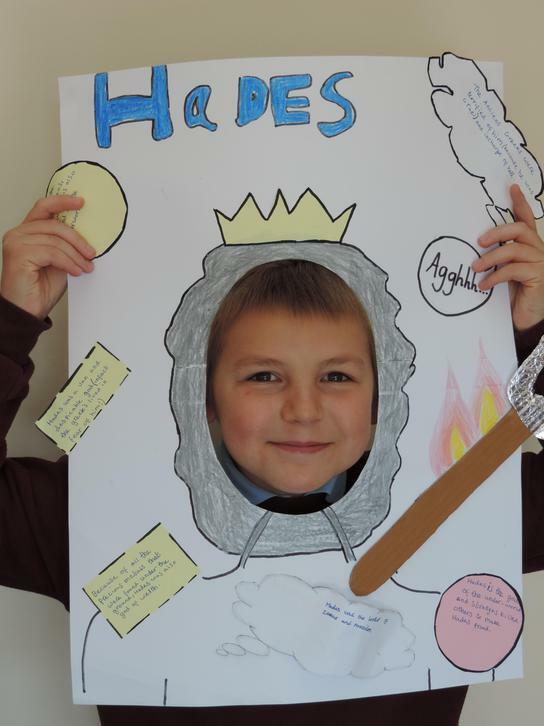 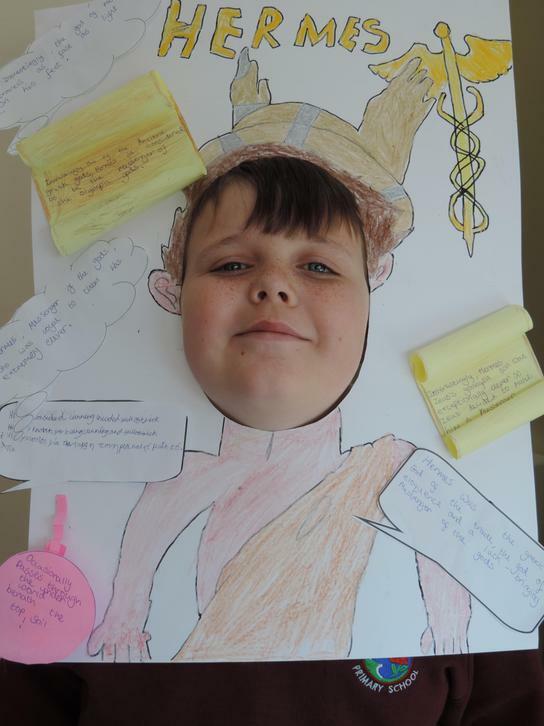 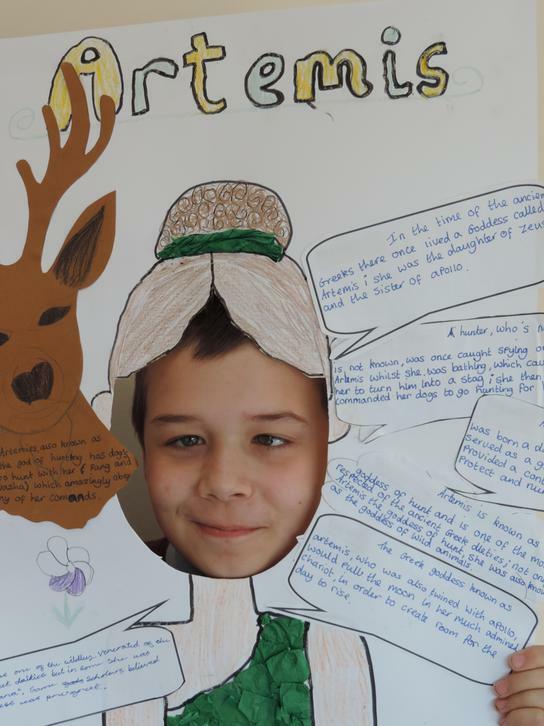 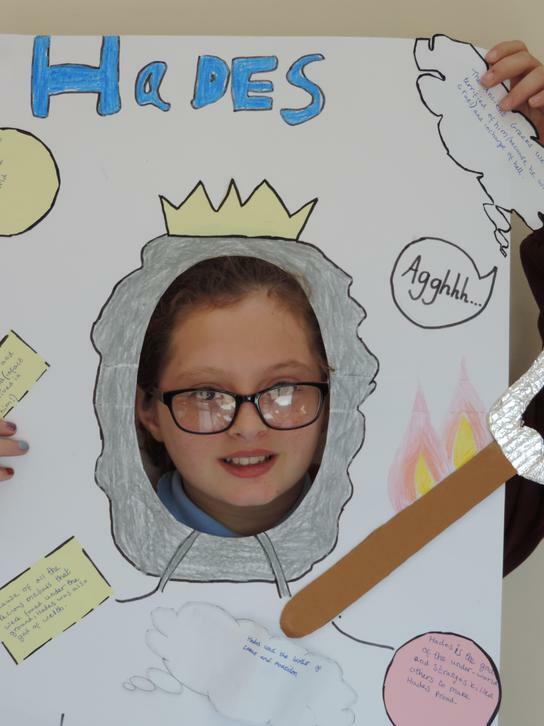 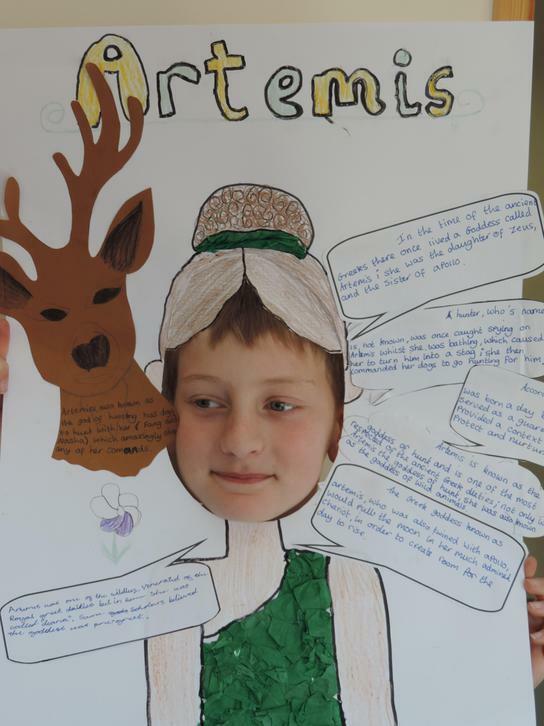 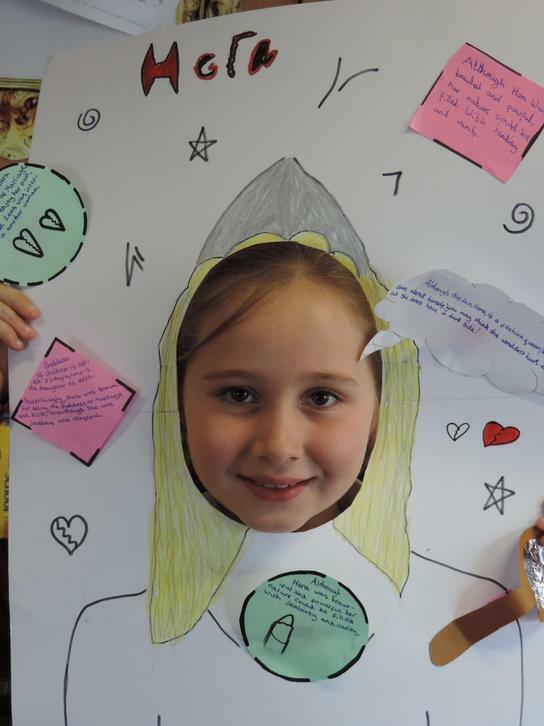 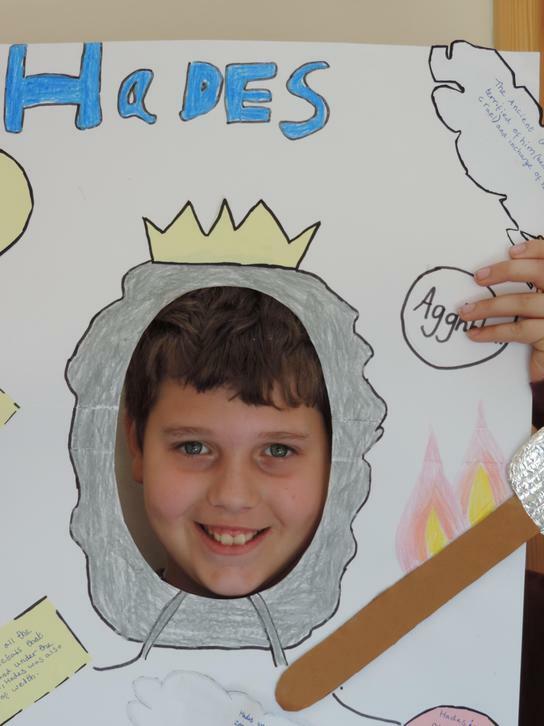 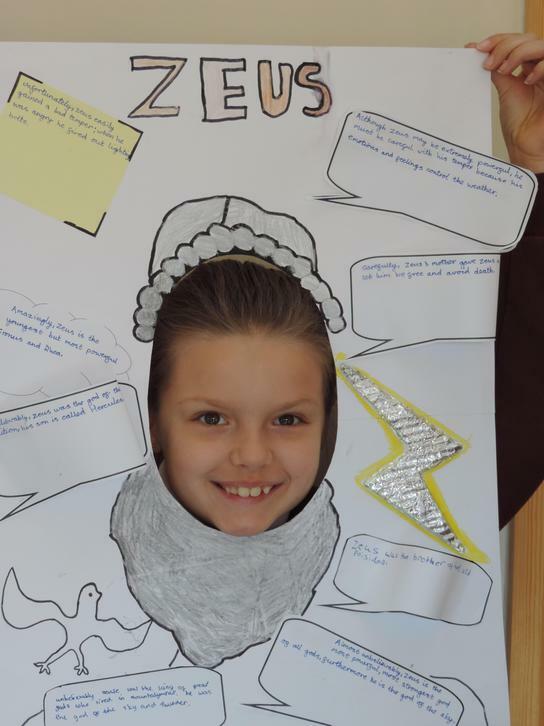 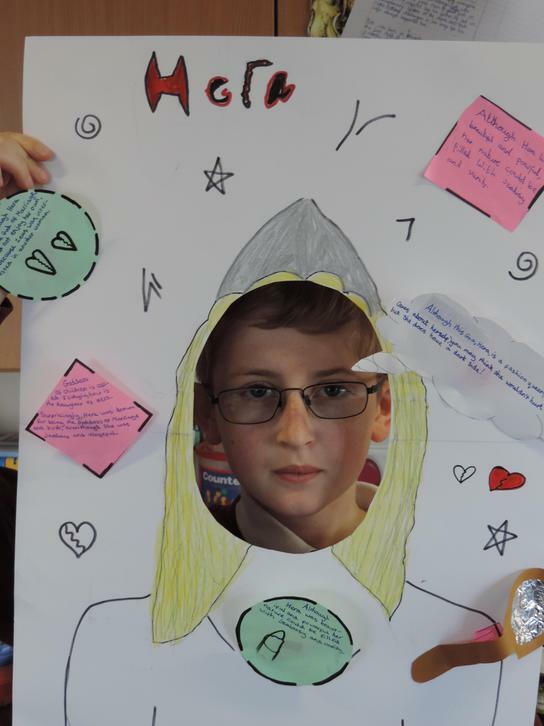 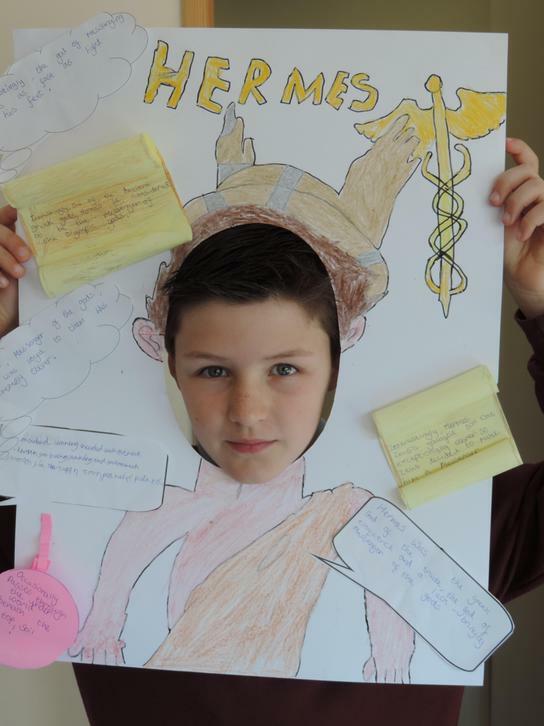 In Literacy, we researched Ancient Greeks Gods and Goddesses. 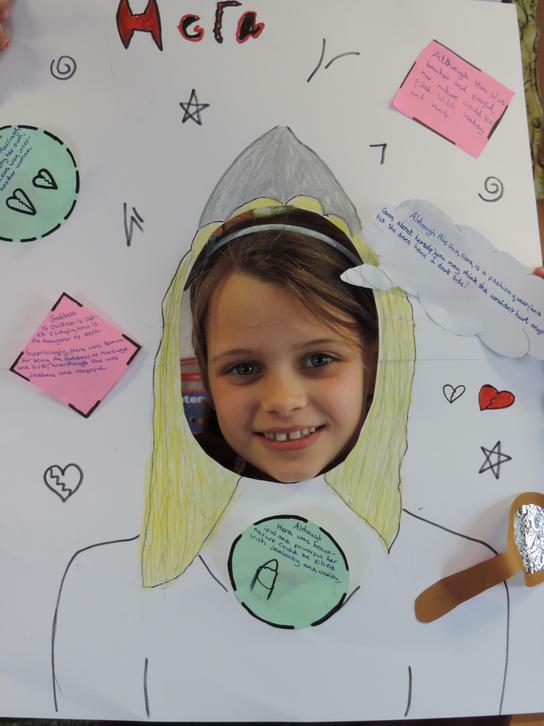 Working in teams, we found out lots of interesting facts to go onto our head boards that we created. 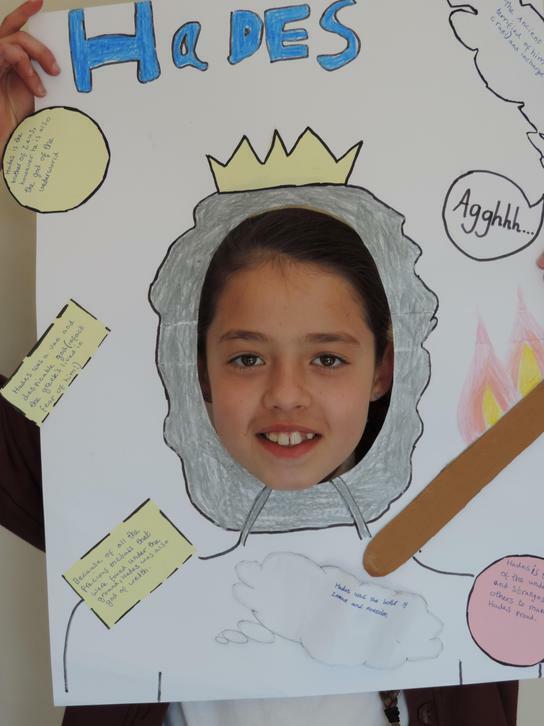 Can you spot some of the symbols that are associated with each God?